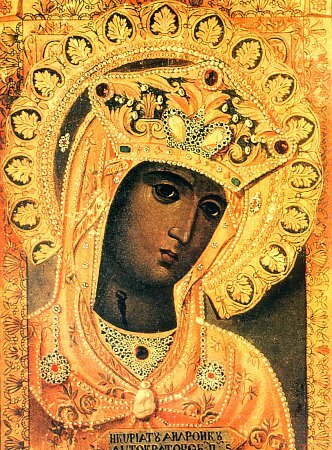 The Andronikov Icon of the Mother of God was a family icon of the Greek emperor Andronikos III. In 1347 he gifted the icon to the Monembasa monastery at Moreia. From here the image was sent in 1839 to Russia. In 1877 the holy icon was placed in a temple of the Kazansk women's monastery, near Vyshnii Volochek.